RG-58 extension cable - 5'. Inserts between weBoost Cellular antenna and phone adapter cable. Should not be daisy chained to prevent excessive signal loss. Magnet Mount Antenna, 50 Ohm. 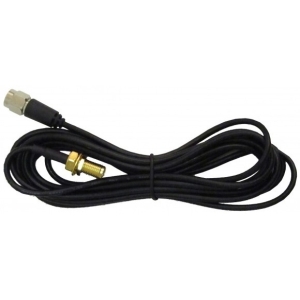 12.25 inch Vehicle Antenna For Mobile Cell Phone Signal Boosters with 12.5 ft of RG-174 Cable and FME-Female Connector. 301103 Mobile Omni-Antenna Receives Signals From All Directions.